Don't take candy from strangers, kids. ESPECIALLY this lady. Urban legends are those stories that get passed down from generation to generation. MSN recently published a list of the creepiest urban legends for every state. The creepiest urban legend in Texas stems from a small town just outside of Dallas. It's the story of Clara Crane, the Candy Lady, from Terrell, Texas. Clara Crane was accused of poisoning her husband back in 1895. She gave him some caramels that were laced with some form of poison that killed him. A few years before she allegedly killed her husband, the Cranes five-year-old daughter died. Clara blamed her husband for the passing of their daughter, which is why many believe she killed him. 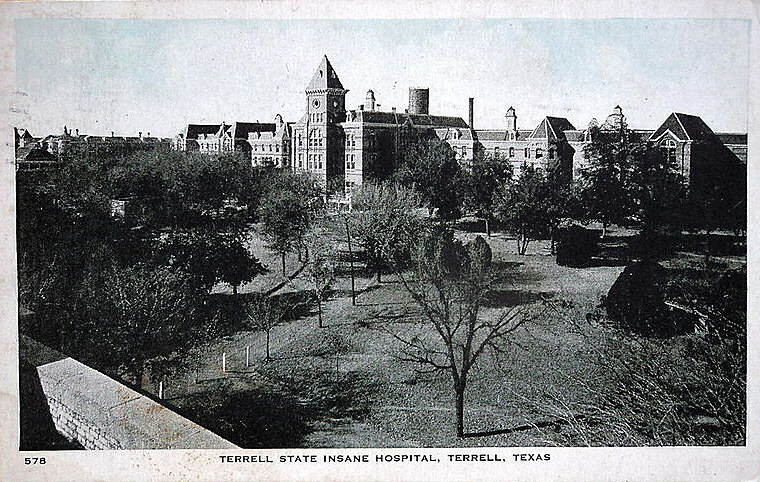 Clara was placed in the North Texas Lunatic Asylum, now known as the Terrell State Hospital. While in the asylum, Clara made a doll out of torn bed sheets. The doll she called Marcy, the same name as her daughter. Seen below is a small portion of a letter Clara supposedly wrote to her sister while in the asylum. I am elated! I have been informed by Doctor Matthews that Marcy and I will be returning home in less than three weeks! As you can imagine, Marcy can barely contain her excitement. Every night she asks “Is tomorrow the day when we go home, Mother?” Very soon I will be able to tell her “Yes”. Clara could be seen talking and singing to the doll by the asylum staff. In 1899, she was released from the hospital due to overcrowding. So even though she allegedly committed murder, she was fit for release. No word on where Clara officially went after that. Here is where the urban legend of the Candy Lady begins. In 1903, children started going missing near her old property. Children said candy would be left on their window while they were sleeping. Sometimes there would be notes on the wrappers around the candy. After several children started going missing, the townspeople believed it was Clara, the woman that killed her husband with poisoned candy, who was responsible for the disappearances. A nearby farmer had found teeth in his fields and the town sheriff was killed. He had forks shoved into his eyes and was found with candy in his pockets. No one really knows what ever came of Clara Crane, but to this day, it is believed the Candy Lady still roams around luring little children with candy, then pulling out their teeth or stabbing them in the eyes with forks.